There was likely an embarrassing conversation between Missoula County Attorney Jennifer Clark and U.S. Attorney for Montana Michael Cotter. Jennifer Clark called Michael Cotter's Office to see if the federal government wanted to indict me (William M. Windsor) for Tweeting, etc. This is Bill Windsor's best guess at how the conversation went. Receptionist: United State's Attorneys Office for Montana, how many I help you? 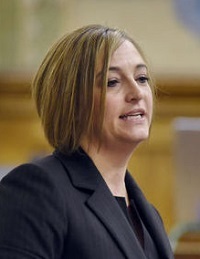 Jennifer Clark: This is Jennifer Clark, Missoula County Attorney's Office. Mr. Cotter knows me quite well. May I speak with him? Receptionist: I thought Kirsten Pabst was the Missoula County Attorney. Jennifer Clark: (sigh) Yes, she is. I am a Deputy. But I assure you that Mr. Cotter knows me really well. Receptionist: What was your name again? Were you one of the attorneys involved in not pursuing rapists? Jennifer Clark: My name is Jennifer Clark. I believe you are thinking of Kirsten Pabst as far as letting rapists go free. Receptionist: Just one moment please. 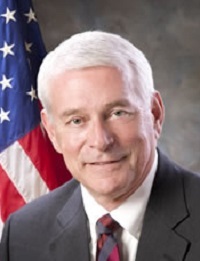 Michael Cotter: U.S. Attorney Michael Cotter. How may I help you? Jennifer Clark: Hi Mike, this is Jennifer Clark. Michael Cotter: Jennifer Clark, well I'll be. I thought you were great as the nurse practitioner in "The Lake House." I understand you recently starred in another movie, "Easter." I haven't seen it yet, but I will make a point to do so soon. What in the world can I do for you? Need a leading man for your next movie? 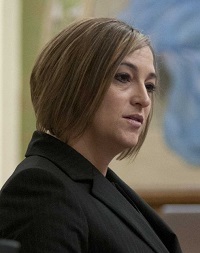 Jennifer Clark: Mike, this is Jen Clark with the Missoula County Attorney's Office. I met you once at a meeting. Michael Cotter: Oh, hi, Jen. I'm sorry I don't recall meeting you, but what can I do for the Missoula County Attorney's Office? By the way, it's MICHAEL, or Mr. Cotter. Jennifer Clark: I have a case to pass to you, Michael. Michael Cotter: We're mighty busy with big cases involving corruption and organized crime. We're trying to figure out if we can charge some children who operate a lemonade stand on the border with a federal crime since they transport the lemonade to cars who stop on the other side of the state line. Vital stuff like this. What is your case? Jennifer Clark: 18 U.S.C. 2262. Michael Cotter: Violation of a protective order. That can be very serious. Who is the victim? Michael Cotter: Sean Boushie? Doesn't he work for us in the undercover operation at the University of Montana? Paid government cyberstalker as I recall? Michael Cotter: Was he killed? If the perp killed Sean Boushie, we can probably put him away for life. Jennifer Clark: Sean Boushie is still alive. He tried to murder the man we are trying to put away, but he shot and missed. Michael Cotter: Sounds serious. Was Sean Boushie permanently disfigured, or does he have life-threatening bodily injury? We can put the perp away for 20 years in that case. Jennifer Clark: No. Sean Boushie was born disfigured, but the perp did not permanently disfigure him or cause life-threatening injury. Michael Cotter: Well, we can put the perp away for 10 years if he merely caused serious bodily injury or if the perp used a dangerous weapon during the offense. Does this apply? Jennifer Clark: No, Sean Boushie was not injured. The perp has been seriously injured from all this, but Sean Boushie is fine, well as fine as a pathological liar can be. The perp has no dangerous weapon other than a laptop. Sean Boushie and his spouse both carry concealed handguns, but we believe a rifle was used in the attempted murder of the perp. Michael Cotter: Which federal judge issued the protective order? Jennifer Clark: Oh, it wasn't a federal judge. It was City of Missoula Municipal Court Judge Sam Warren. Michael Cotter: That's like traffic court, isn't it? This sounds like a local issue. Why are you calling me? Jennifer Clark: The perp traveled across state lines to violate the protective order. Michael Cotter: Well, that's what 18 U.S.C. 2262 protects against. Who is the perpetrator? What is his criminal record? Jennifer Clark: He's a retired man from Texas. He has never been arrested or charged with a crime in his life. He doesn't even have a traffic or parking ticket in over 15 years. Michael Cotter: Sounds like a vicious criminal to me. What did he do? Jennifer Clark: He sent a tweet with Sean Boushie's name in it. He sent an email with a federal court filing to the attorney for the University of Montana. He published Sean Boushie's name online four times. And he didn't give Sean Boushie the website that the perp set up for the pilot for a TV series that he has been shooting. Michael Cotter: When was the order of protection issued? Where does the required interstate commerce come into play? Jennifer Clark: Well, there isn't actually an order of protection. It was issued on August 23, 2013. It expired two years ago, and it was never made permanent. But we want to get the perp, so we are pretending it's still valid. Michael Cotter: Let me get this straight. You are taking the position that a TEMPORARY order of protection issued over 700 days ago is still valid? Have you read the definition of temporary? Jennifer Clark: Well, uh, we try not to worry about the law here. We do whatever we want. Michael Cotter: So when did the perp cross state lines to come into Montana to do bodily harm to Sean Boushie? Jennifer Clark: He never did anything like that. He left Montana right after the Temporary Order of Protection was served. He drove to Texas. In December 2013, he sent a Tweet. In February 2014, he sent an email to the attorney. Michael Cotter: Let me stop you for a second. This email to the attorney. You said it was a filing in a federal case. The perp is obligated by our Federal Rules of Civil Procedure to serve all filings on the attorneys. I think you'd better forget that claim mighty fast. So, what else? Jennifer Clark: In May and July, he published two legal documents online that contained the words "Sean Boushie." Michael Cotter: And the perp did these things in Texas? Haven't you read the Uniform Interstate Protective Order Act? A temporary order of protection is invalid in Texas. And you don't have jurisdiction over this man in Texas. Montana orders of protection are only valid in Montana. Jennifer Clark: But we do whatever we want here. The facts and the law don't matter. Michael Cotter: Ms. Clark, there has never been anyone in history criminally prosecuted for publishing or speaking a man's name. Surely you are familiar with the United States Constitution, the First Amendment, and Freedom of Speech? What the fu*k. Is this a joke? Am I being punked? Is Allen Funt going to pop out of a closet in a minute? Very, very funny. You really had me going. Jennifer Clark: It's not a joke. Michael Cotter: Who's the perp? Jennifer Clark: Bill Windsor, the old man filming a documentary about government and judicial corruption. Michael Cotter: William M. Windsor? Isn't he the guy who said my wife Patricia is a corrupt judge? Isn't he the guy the government is trying to stop because his movie could awaken millions to the reality that all of us in law enforcement and the judiciary are dishonest, corrupt a$$holes? Michael Cotter: Well, fry his a$$. But plant drugs on him or get someone who is a better shot to kill him. This cockamamy tweeting deal isn't going to fly. Do you have a substance abuse issue? Jennifer Clark: It sounds like you aren't interested in pursuing federal charges. Michael Cotter: Very perceptive! I'm not looking to ruin my reputation by trying to convict someone for felony Tweeting. Why don't you and your associates try to put some rapists away for a change. Jennifer Clark: Well, thanks for your time. Michael Cotter: One last thing. If you ever meet the real Jennifer Clark, please give her my number. I've looked at her photos online, and she is HOT. Jennifer Clark: But I told Bill Windsor that U.S. Marshals were going to come get him. Michael Cotter: Gee, that was as dumb as going after this poor innocent old guy in the first place. Bye. Jennifer Clark: Michael? Michael? Michael? Mr. Cotter??? This could have happened. We may never know.